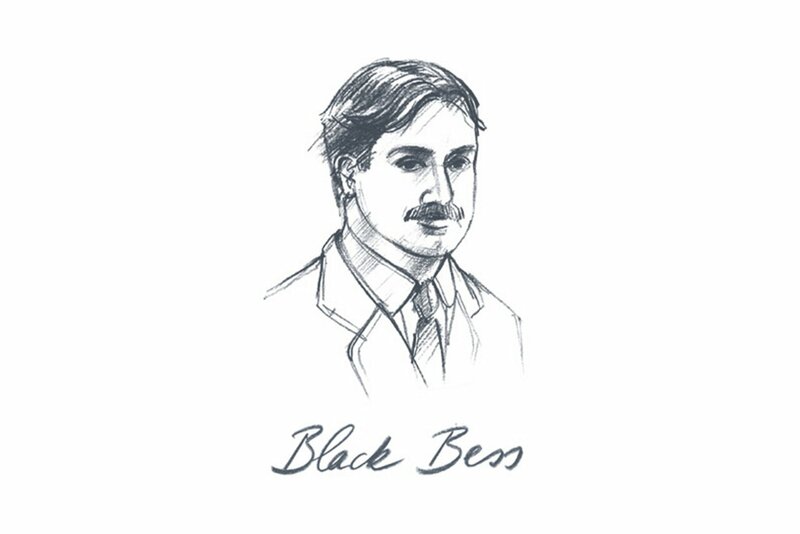 The fifth model in Bugatti’s Legends series recalls the Type 18, nicknamed “Black Bess”, which went down in motoring history as one of the first street-legal supercars. In its day, it was one of the fastest road cars in the world, and is the direct ancestor of the Bugatti Veyron, the holder of the current world speed record. Its first owner was the French aviation pioneer Roland Garros, who successfully crossed the Mediterranean in an airplane in 1913 after winning several flying competitions. The Type 18 caught his eye after Ettore’s win at Mont Ventoux. Roland Garros, who loved speed, was looking for a car that would allow him to travel as fast on land as he did in the air. 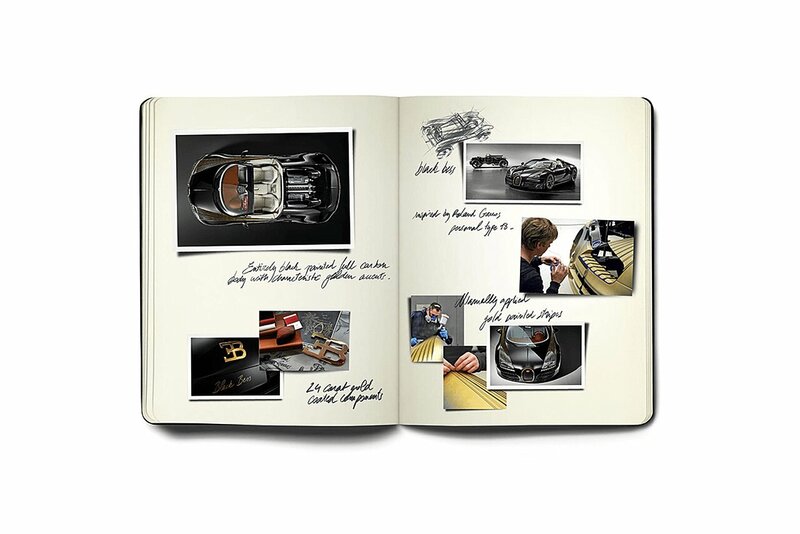 He chose the Type 18 – a huge marketing success for Ettore Bugatti. 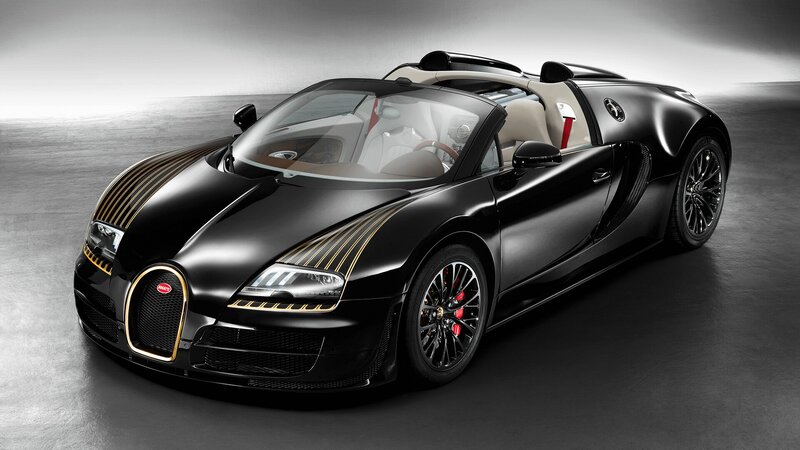 The world premiere of the Legends Vitesse “Black Bess” took place at Auto China in Beijing in April 2014. The black carbon body of the Legends Vitesse offers a modern interpretation of the gold elements that made the Type 18 “Black Bess” so unmistakeable. 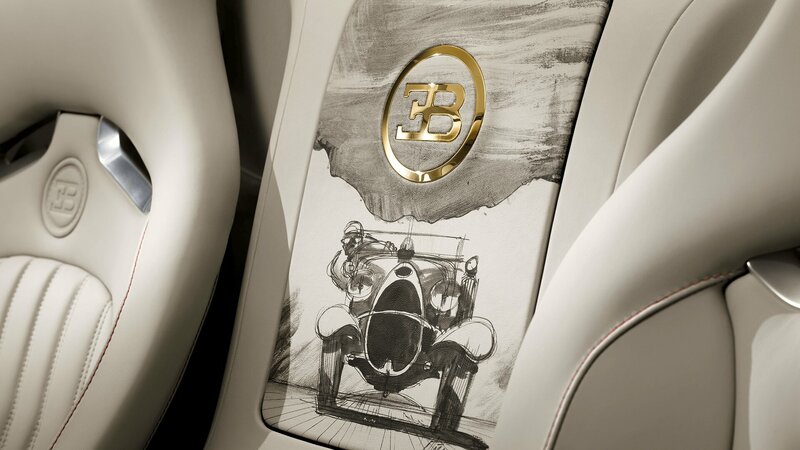 It was the first time that elements of the body of a B Bugatti were coated with 24-carat gold. The Bugatti horseshoe, the EB logo on the rear and the hubcaps are also made of gleaming gold. The effect is accentuated by golden stripes that extend backwards over both front wings in a ray shape, tapering off as they approach the doors. Not to be overlooked: the petrol and oil filler caps, engraved with the name “Black Bess” and painted gold. The most striking details inside the car are the door panels. The two leather-covered panels depict different scenes featuring the Type 18 “Black Bess” and Roland Garros’ airplane. The ink drawings were applied by hand directly to the leather – the same way that components of luxury cars used to be painted in the early 20th century. In order to protect the drawings from abrasion, a new impregnation process was developed. Never before in the history of car manufacturing had traditional details been so perfectly implemented in line with modern quality and production standards.